Fuel cards, also known as fleet cards or petrol cards, are a form of payment card utilised by businesses for the purchase of fuel for vehicles within their fleet. Fuel cards are typically used by businesses which rely heavily upon a fleet of vehicles for their business operations, such as transport, haulage and construction businesses. Operating in a manner similar to conventional credit cards, the magnetic strip of the fuel card is swiped, at which point the user enters the appropriate PIN number to complete the transaction. Depending upon the specific type of fuel card, some may be locked to a specific fuel station network, whilst others may be valid at a range of networks. One of the key benefits associated with the use of fuel cards is the potential savings businesses can procure with regard to their fuel purchases. Specific fuel card types (sometimes referred to as bunker price fuel cards) often enable the purchase of fuel at wholesale prices, resulting in savings to customers when compared to fuel purchased at the standard retail price at the forecourt. These potential savings typically range from one to four pence per litre of fuel, however in some circumstances savings can extend to up to six pence per litre. These savings are therefore an attractive benefit to companies operating large fleets of vehicles. Another advantage of fuel cards comes with the reduction in administrative time and effort associated with fuel management. Instead of drivers saving receipts, to be reimbursed later, a dedicated fuel card account can run on either direct debit or a pay as you go top-up system. This saves fleet managers and accounting a lot of paperwork and time. Because transactions with fuel cards are cashless, featuring chip and PIN security, this means drivers can operate without the potential risks associated with carrying large sums of money on their person. Moreover, the employer can specify restrictions, such as the maximum number of transactions permitted in a given week, or the maximum quantity of fuel and even the type of fuel that can be purchased. Assigning a fuel card to each driver, with the fleet manager having central access to all accounts and reporting, allows a close monitoring of fuel consumption, fuel costs and driver behaviour. It allows you to analyse and optimise your fuel spend, quickly saving you money even if your chosen fuel card has fees associated with it. Various factors influence the exact cost of fuel cards. One such factor is whether the card is ‘locked’ to a specific network of fuel stations, or whether they allow the customer a greater freedom of choice by being valid at multiple chains. An additional factor which can influence the cost of fuel cards is exactly how they allow for the payment of fuel. For example, some cards feature a fixed price payment plan, meaning all fuel, regardless of where it is purchased, can be purchased for the same specified price at all participating stations (usually at slightly less than the national average). Conversely, other fuel card types cover the purchase of fuel at the price specified at the forecourt. Bearing these factors in mind, the cost of a single fuel card typically ranges from approximately £6 to £12 per annum. Some fuel card providers may also specify a minimum spend on fuel purchases per month, which will vary depending upon the size of the customer’s fleet. 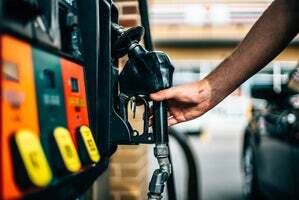 Nowadays it is also possible to get fuel cards for free, although you will need to compare fuel cards to ensure that this deal is the best for your business. Free fuel cards often don’t offer forecourt discounts, or might not provide the level of reporting that you are looking for. Many fuel card suppliers offer similar services and benefits, nevertheless there are a number of factors which the customer should take into consideration when choosing between providers. As has already been discussed, a major benefit of fuel cards is the potential savings in fuel purchases that companies can accumulate as a result of discounted fuel prices. Nevertheless, some cheap fuel card suppliers only offer cards which enable the purchase of fuel at the price specified at the forecourt (sometimes referred to as pump price cards). Therefore if the customer desires discounted fuel prices, it is necessary to choose a supplier offering fixed price/bunker price fuel cards, as these will allow for discounted purchases. The comprehensiveness of administrative services may also vary to some extent between fuel card suppliers, therefore this is another factor to take into consideration. Having 24 hour access to fuel management reports can be a necessity for companies offering a large fleet of vehicles as this enhances the ability of employers to quickly identify unauthorised, or otherwise unusual, fuel purchase activity. Moreover, it is advisable for customers to seek fuel card suppliers who offer personalised account managers as these individuals will be familiar with the customer’s company history and the exact services they require. Security is an extremely important aspect of fuel management services, therefore customers should also compare fuel card suppliers based on the security measures featured within their fuel cards. The most secure fuel cards will be locked to individual drivers and their vehicles, featuring the driver’s name, the registration of the vehicle, and the requirement for a specific PIN number to authorise fuel purchases. Consequently, these security measures dramatically reduce the risk of fuel purchases made by anyone other than the authorised user. Customers should therefore seek fuel card suppliers with such security measures in place. Freedom of choice is another important aspect to consider. Some suppliers may offer a limited range of fuel cards, or may otherwise specify that their fuel cards are only valid with specific fuel station chains. This lack of choice can limit the fuelling options available to companies, especially if certain fuel station chains aren’t present in their area of operation. Customers should therefore seek the services of fuel card providers offering a wide range of fuel card types, preferably those which are valid at a variety of fuel station networks. There are a wide range of fuel card suppliers in the UK, offering customers a range of benefits and services. You should think carefully about which fuel card services and features are most important to you, so you can choose a supplier with a specific understanding of whether they offer the fuel card services you require. There are a range of local, national and international suppliers offering fuel card services in the UK. There are two main types of fuel card suppliers: those who provide their own fuel, such as Shell and Esso, and those who provide fuel card services only, such as fuelGenie and Arval. Some providers are best suited to small or large fleets, although some cater to both. Make sure to check whether your chosen supplier offers the right kind of fuel card services for the size of your fleet. Expert Market provides free quotes for top UK fuel card suppliers. When you fill in the web form, you will be asked some questions which are designed to tailor the quotes you receive to your specific business requirements. This means that we can provide you with the best quotes for your business, saving you both time and money. It only takes a minute to fill in the web form, and getting the best quotes from us will ensure you get the best fuel card deals.